So here we are, almost two years later, and tonight marks the beginning of the end of what’s likely one of the most culturally significant TV shows of our lifetimes. That may seem dramatic, but with the rise of streaming services, it seems difficult to imagine another “watercooler” show, the kind of show that it feels like everyone watches, or at least everyone feels like they should be watching, happening again any time soon. Our parents theorized about who shot J.R. We’ve been talking about who will end up on the Iron Throne. 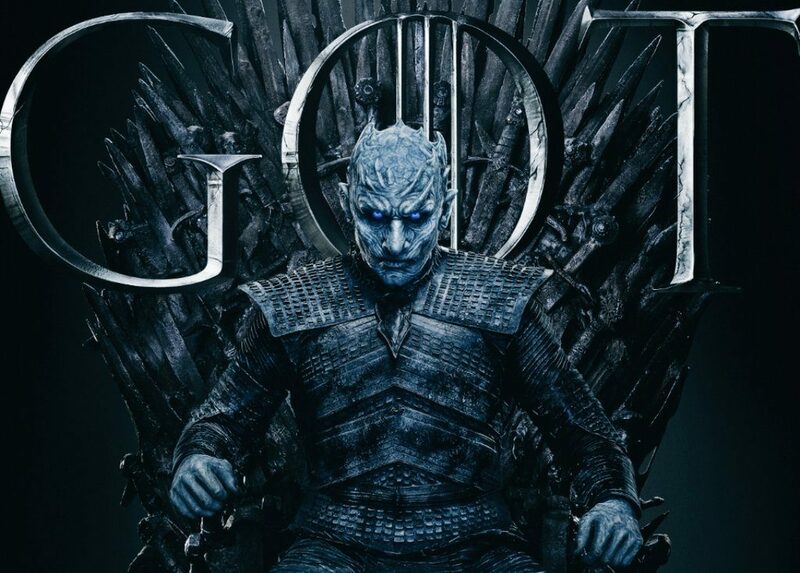 This final season of Game of Thrones is short; only six episodes (though many of the episodes will push into 80-minute-long territory). We have a lot of ground to cover in that limited amount of time. Let’s get right into my predictions for the season (spoilers for the season eight trailer). The recent trailer has Arya holding a dragonglass blade menacingly and saying “He’s got many faces, and I’m ready to see this one.” So the dragonglass suggests she’s going after a White Walker, but come on. Our girl has a list! I’m betting on her still having killing Cersei in the forefront of her mind. Jon Snow and Daenerys got together at the end of last season (with the very gross voiceover reminding us that their related). 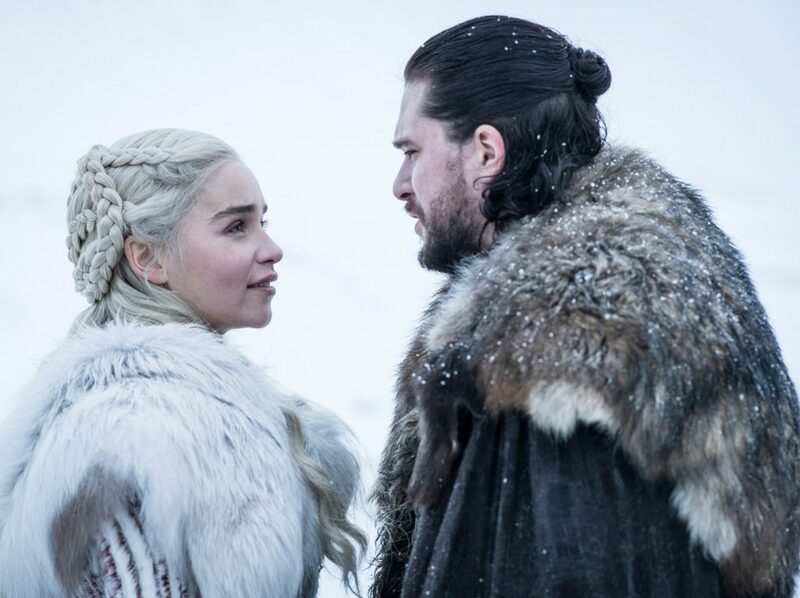 Naturally, there’s lots of speculation about Jon and Daenerys, the eponymous “ice and fire,” and how they will rule together, or their hypothetical child will rule, or how one of them will end of ruling (if you’re really into this, read up on the Azor Ahai prophecy). That same scene included Tyrion watching Jon enter Dany’s room with strange look on his face. Some suggested it was jealously because he’s in love with Daenerys. For reasons I can’t explain, I’m leaning more toward Tyrion being concerned that Jon will get in the way of Daenerys taking the throne. But maybe I’m just tired of everyone being in love with Daenerys. Speaking of prophecies, I’ve been waiting for Maggy the Frog’s prophecy (from back in season five’s “The Wars to Come”) to come to fruition. In the prophecy, Cersei is told she will die by the hands of “valonqar.” Some suggest it’s Tyrion that will kill Cersei, but with Jaime breaking free from Cersei at the end of the last season, I’m definitely feeling Jaime as our valonqar. The prophecy also mentions that Cersei will have three children, so who knows about her pregnancy! Of course, the whole thing could be bunk and we could have Cersei ruling over the Seven Kingdoms with the Night King by her side for all I know. Bran is obviously very important (he’s practically godlike with being a greenseer and a warg), but how does he fit into everything? 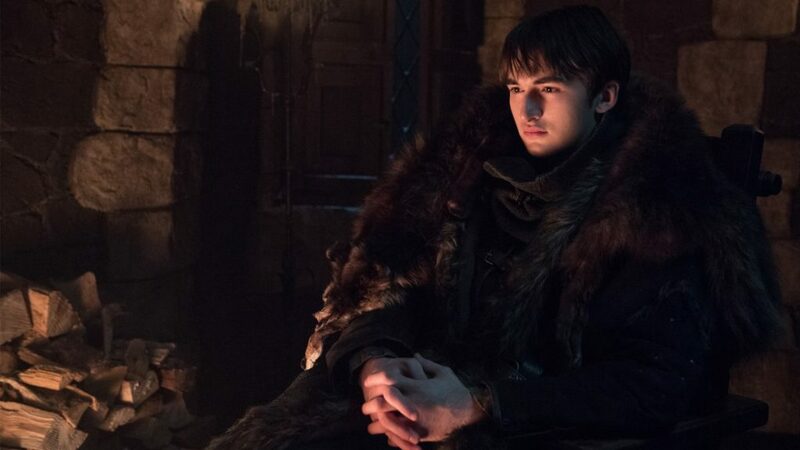 Bran’s journey has been one of the stranger ones, and he did do a lot in revealing Jon Snow’s lineage, but that doesn’t seem like enough. The popular theories about him are pretty wild, so I’m going to hold off on any predictions. Sansa becomes queen. 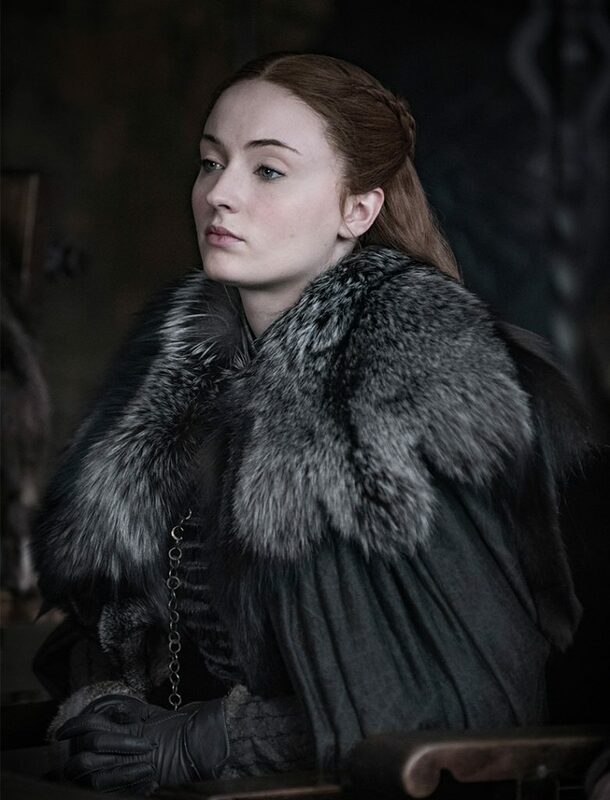 Ok, I’m mostly kidding here, but I’ve been on the #SansaForPresident hype train since season four, so I just want her to be happy and successful, OK? And finally, after being mercilessly manipulated by this show for almost a decade, and with the knowledge that no one is really safe, a small part of me expects the worst. The Night King wins.The White Walkers take over. Winter is here to stay. Author: Anisha Vichare Raised on a healthy diet of equal parts Buffy the Vampire Slayer, Family Matters, and The X-Files, Anisha has been an avid TV watcher since she was probably too young to be. Due to her extensive knowledge of television shows, past and present, she's killer at pop culture trivia and doles out TV recommendations to anyone who asks. A midwestern transplant living in the Texas, you can find her explaining to strangers that Pawnee isn't a real place in Indiana and trying to convince others that the rival high school from Glee was based on her high school (really! ).